Full bed-fort, with a mattress base, stuffed animal moat, topped with six blankets? Check. Gummy cola bottles, Dots, and Cookies-and-Cream Hershey bar? Check. A Christmas Story in the blu-ray player with the surround sound cranked up? Check. 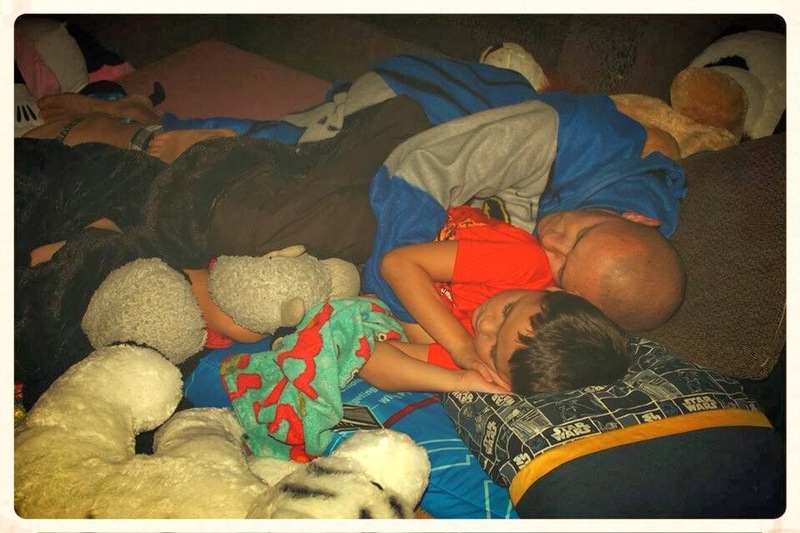 We had all the makings of the perfect family movie night. We watched, or rather they watched the movie, while I watched them. Wide-eyed with just-cracked smiles the whole time, we laughed aloud at all the very same parts of the movie that I laughed at when I was their ages. They told me that the dad in the movie reminded them of me, when I was installing a dishwasher, a dryer, or yes, even working on the furnace that always seems to act up in the wintertime. We followed that movie up with The Two Towers, eight episodes of Scooby Doo, and at long last, late into the evening, falling asleep in one another’s arms. I woke up this morning with an aching back, sore shoulders, and a six year-old lying on top of me. Tonight’s activity is one that shows children that we, as parents, are willing to set aside our interests and our busy schedules to spend time with them. By sacrificing the normal comforts and conventions of movie watching in favor of intentionally making a mess on the floor and throwing out the usual rules of junk food restraint, we are demonstrating that, once in a while, breaking the “rules” (within reason) provides a necessary release from the stresses of everyday life. A small price to pay for a memory that could last a lifetime.